"The hotel wasn't fancy, but it was clean. The bathroom needed updating, and the bathtub needed no-slip strips and grab bars. 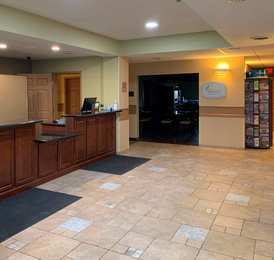 Housekeeping did a good job.2018-06-12"
"We had a fine stay, and the hotel rates were modest. Our little girls enjoyed the small pool after skiing each day. Good breakfast with waffles.2018-02-28"